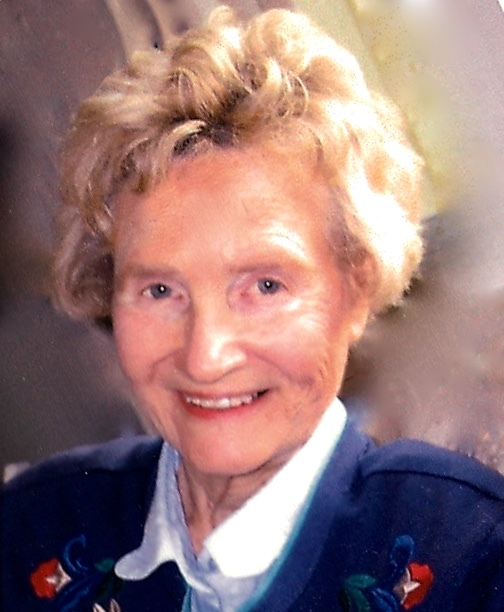 It is with tremendous sadness the family announces the passing of their much-loved Mother, Grandma, and Great Grandma Elizabeth “Liz” Tolle, who was 94. In life, she was the most caring and loving person you could meet. She also had a fantastic sense of humor and quick wit; she was an inspiration to anyone who had the great pleasure of knowing her. Liz is predeceased by her parents Melissa and Jacob Roesch; her brother Jack; her wonderful daughter Susan “Sue”, and her best friend and husband William “Bill” Tolle. She will be deeply missed by her lovely daughter Melissa “Lissa” (Denis) Manning; her grandchildren, Eric (Megan) Manning, Peggy “Peg” McClure, Wendy (Maureen) McClure; and her great- grandson Jack; as well as nieces, nephews, and exceptional lifelong friends. Liz was born in San Bernardino but grew up on her family’s ranch in Cajon Pass. It was in Cajon Pass that she met her husband Bill, the new kid in town. They got married and lived a beautiful life together. When Liz’s husband was stationed in New York and New Orleans as a merchant marine during World War II, she packed her bags and went with him to live and experience the Big Apple and the Big Easy for two years! She worked and roomed with another fellow merchant marine’s wife, Vic, until their husbands returned. It’s not to say they did not miss their husbands, but the two of them had a ball! After the war, Liz and her husband moved to Berkeley, Calif. It was there Liz studied art at UC Berkeley and had her two beautiful daughters. A few years later they settled in Laguna Beach where they owned a charming nursery for decades. They sold the nursery and bought (along with their friends Ron and Betty) a small hardware store. We are pretty sure Liz and one of her dearest friends Betty (who ran the store together) could have written a book about the many people who came in and out of those doors! Liz worked there until her retirement. After her retirement, she helped at her daughter Sue’s gallery and painted gorgeous watercolors that were proudly displayed in the studio. Take our love with you Liz, and may it bring you peace. We are going to miss you so much. In memoriam donations to a charity of choice would be appreciated. A celebration of Liz’s life will be announced in the upcoming months. Those who wish may leave condolences at Obits.ocregister.com or the Laguna Beach Indy.